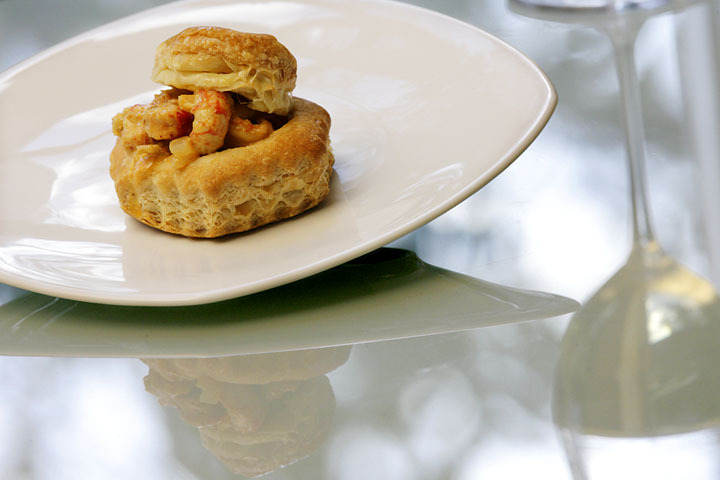 From a business assignment I shot today. 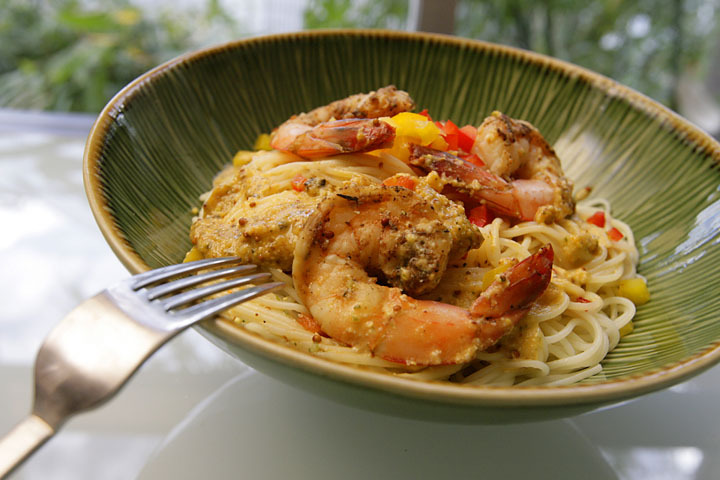 This guy was really cool to work with and I love a success story. 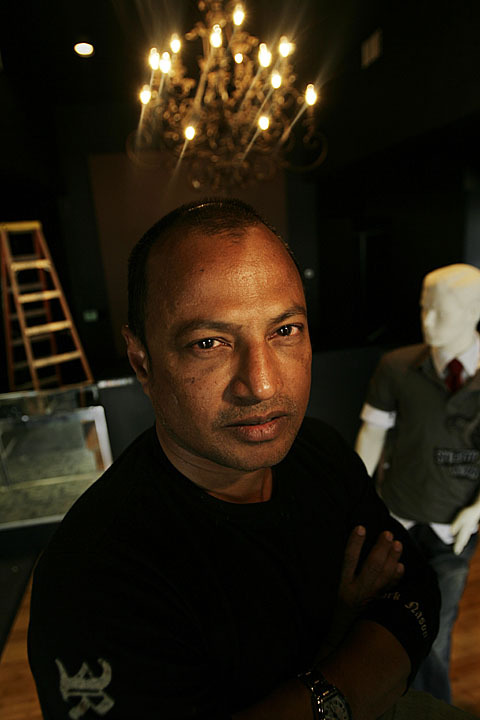 Store owner Michael Malik at the location of his old store M2M fashion. 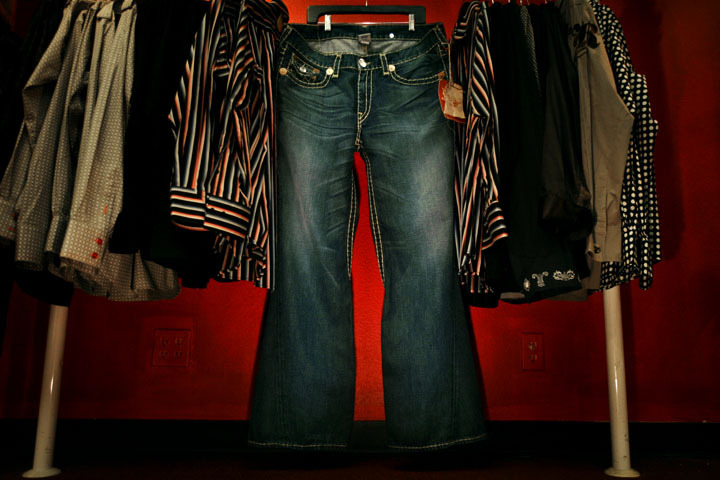 His store specializes in premium denim brands ($100 and up a pair). The new store, across the street from his old store, has 5500 square feet, compared to his old store which had about 1800 square feet before he expanded it. He will move merchandise from his old store into his new store very soon. 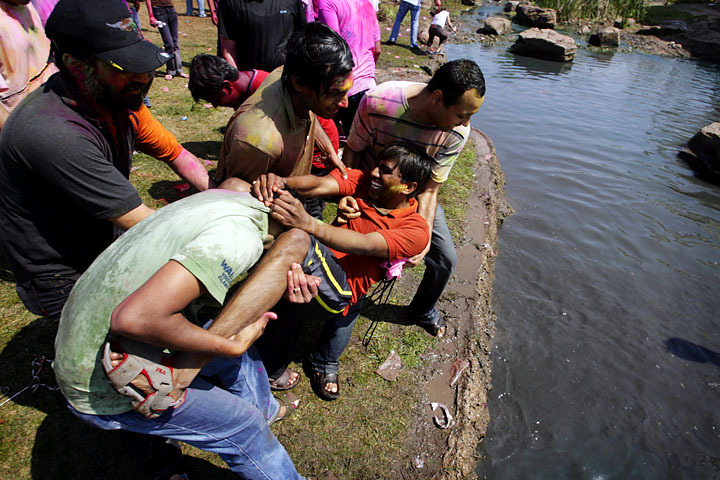 Malik has been in the jeans business for five years and credits his success on taking risks. Store owner Michael Malik at the location of his new store. 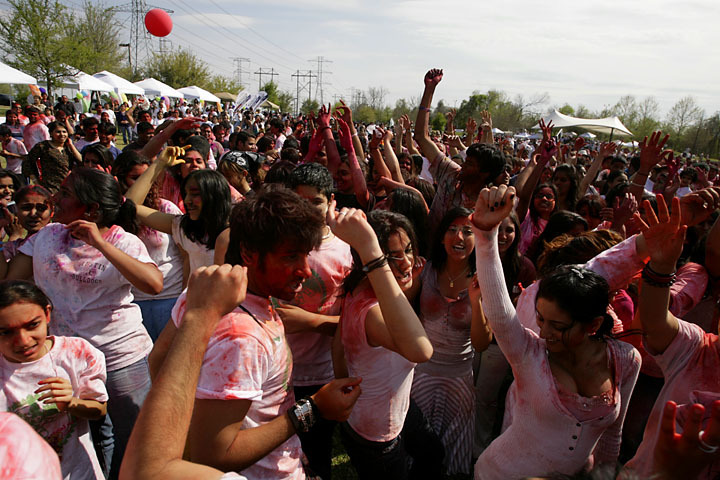 10,000 gathered to help celebrate the Holi Festival of Colors at Oyster Creek Park in Sugar Land, TX. Its been a good week or so. 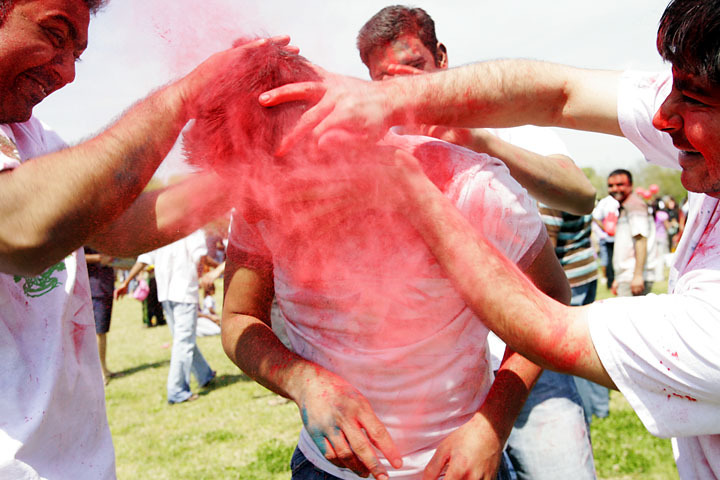 I got to work on a couple of fun assignments. 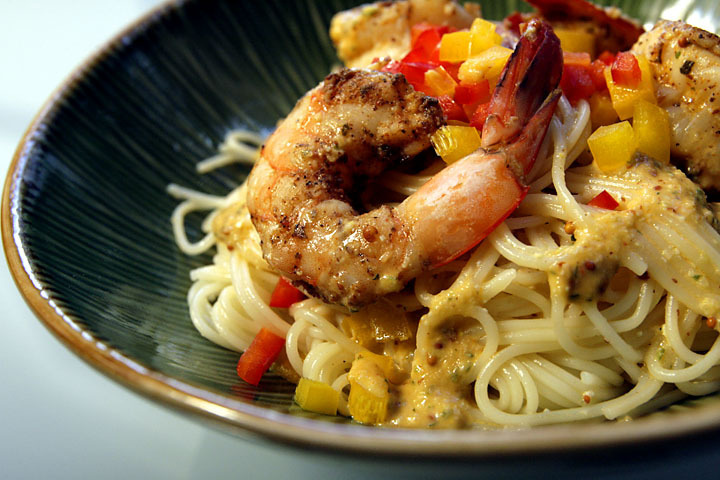 The first one involves food. 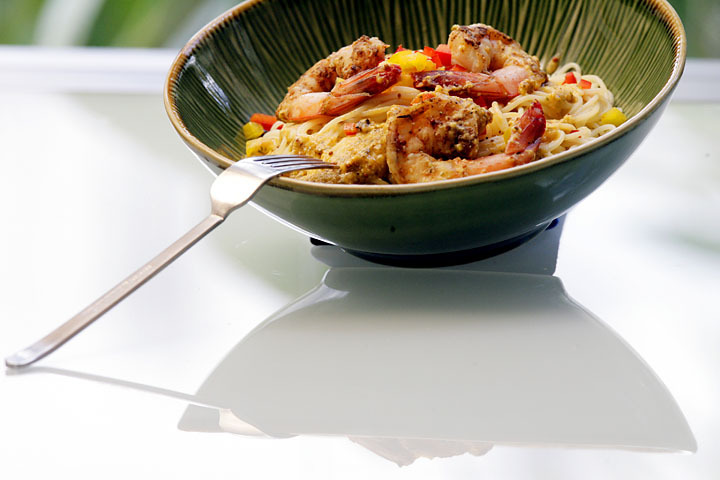 Sometimes food makes its own picture. 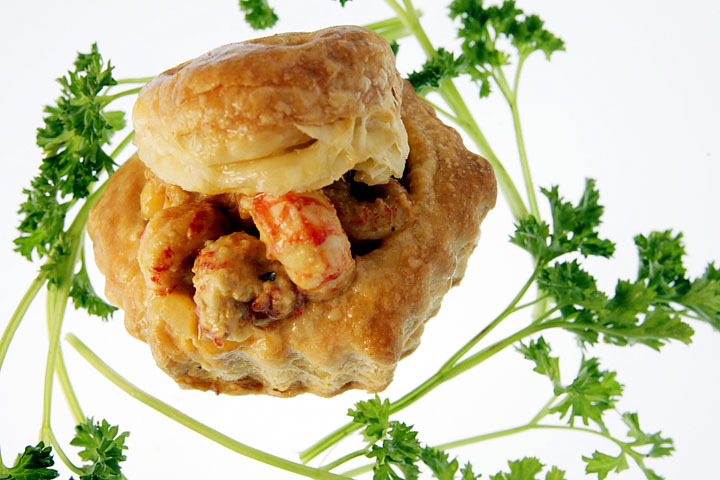 Other times, you have to work it really hard and even still, you don’t know what’s going to come out of the oven. 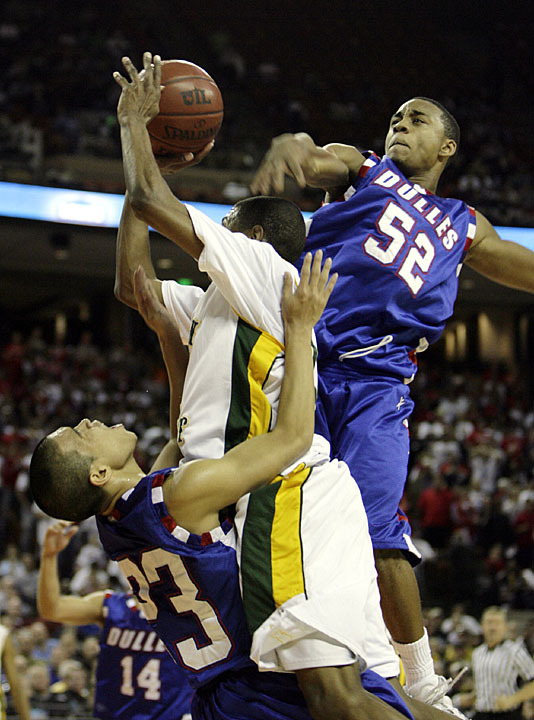 Klein Forest’s Gabe Rogers tries to save the ball in the fourth quarter against Dulles High School March 7, 2008 at the Frank Erwin Center in Austin, TX for an all Houston-area Class 5A boys semifinal. Dulles won 71-66. 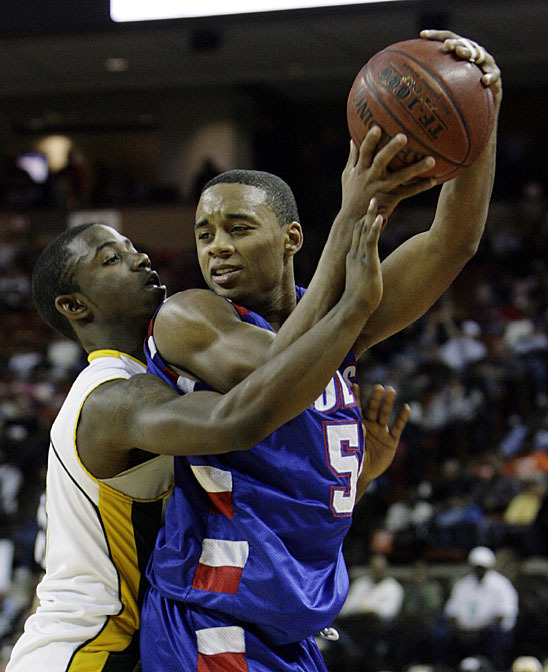 Dulles’ Shaun Umeh (32), shoots over Klein Forest’s Elliott Lloyd (11) March 7, 2008 at the Frank Erwin Center in Austin, TX for an all Houston-area Class 5A boys semifinal. Dulles won 71-66. 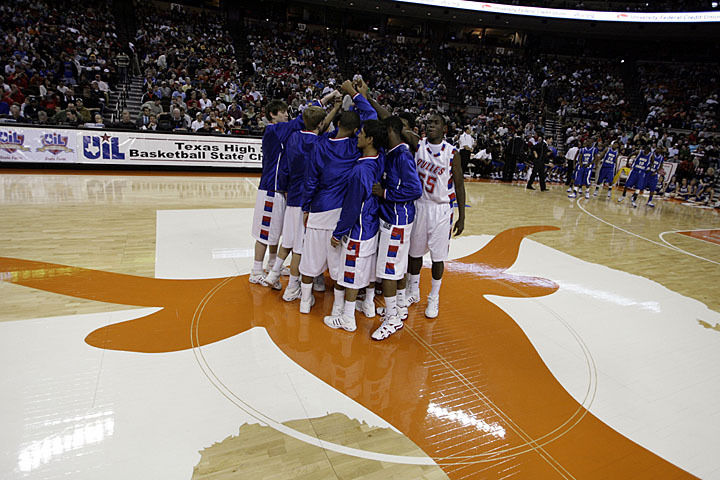 Dulles’ Will York feels pressure from Klein Forest’s Vernell Caldwell March 7, 2008 at the Frank Erwin Center in Austin, TX for an all Houston-area Class 5A boys semifinal. Dulles won 71-66. 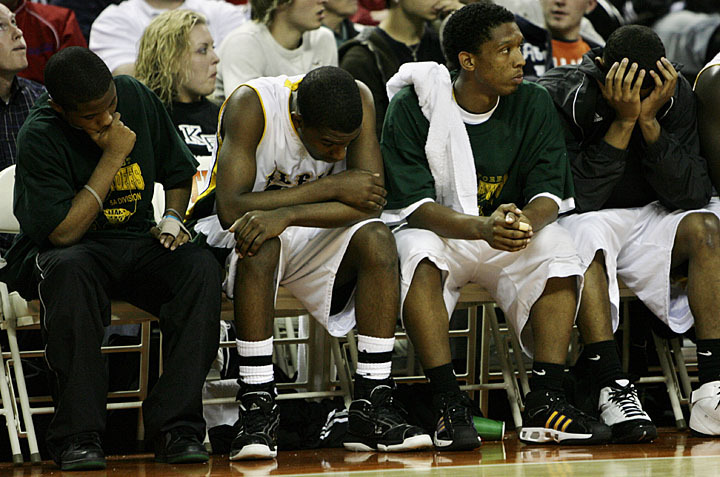 The Klein Forest bench reacts to the game as Dulles wins 71-66, March 7, 2008 at the Frank Erwin Center in Austin, TX for an all Houston-area Class 5A boys semifinal. 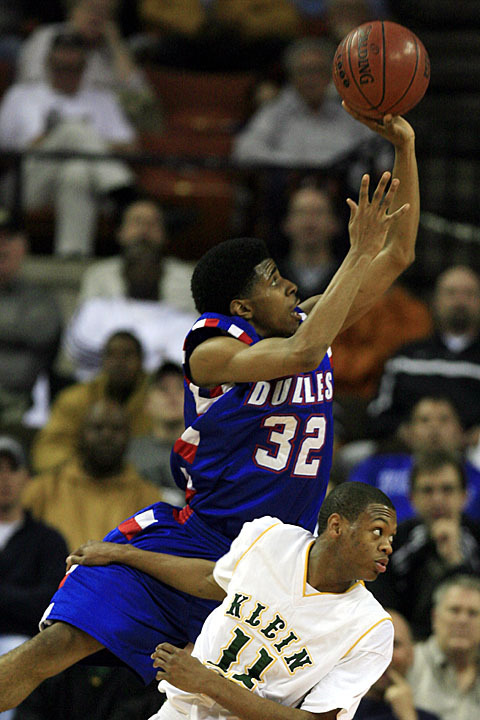 Klein Forest’s Elliott Lloyd goes strong to the hoop against Dulles’ Thomas Galliguez and Dre Harrison March 7, 2008 at the Frank Erwin Center in Austin, TX for an all Houston-area Class 5A boys semifinal. Dulles won 71-66. 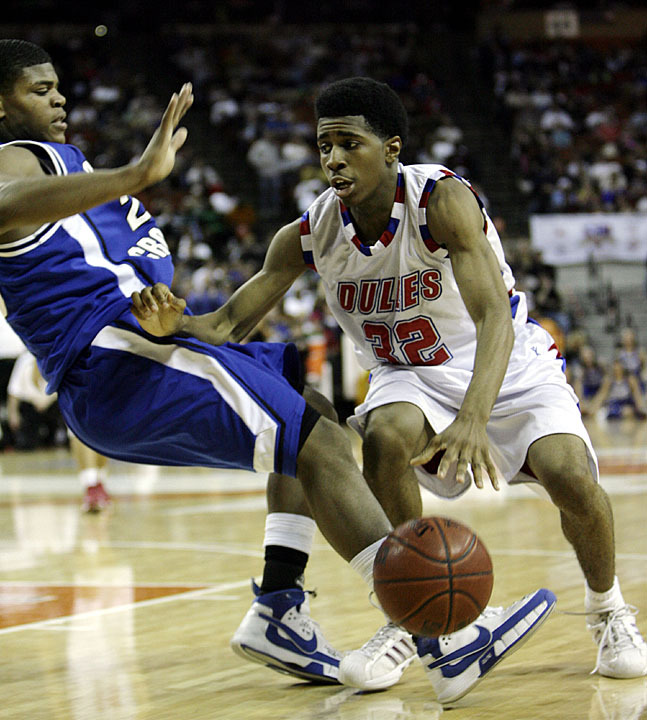 Dulles’ Shawn Umeh and North Crowley’s Willie Warren scramble after the ball in the first half March 8, 2008 at the Frank Erwin Center in Austin, TX for the Class 5A boys state championship. 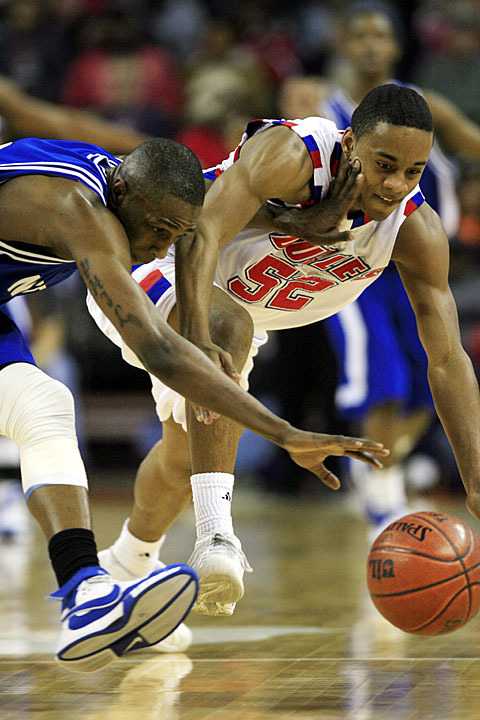 North Crowley’s PJ Colley and Dulles’ Dre Harrison scramble for the ball March 8, 2008 at the Frank Erwin Center in Austin, TX for the Class 5A boys state championship. 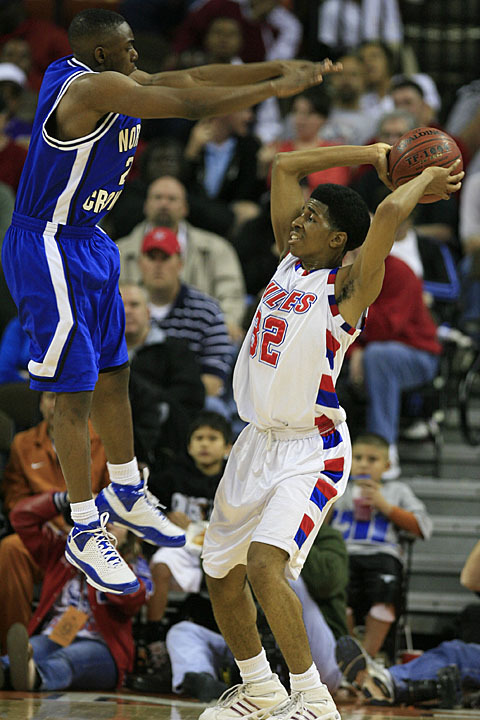 Dulles Shawn Umeh looks to pass around plays North Crowley’s Ayo Omopariola March 8, 2008 at the Frank Erwin Center in Austin, TX for the Class 5A boys state championship. Dulles lost 74-67. Dulles teammates gather in center court before their state championship game against North Crowley. 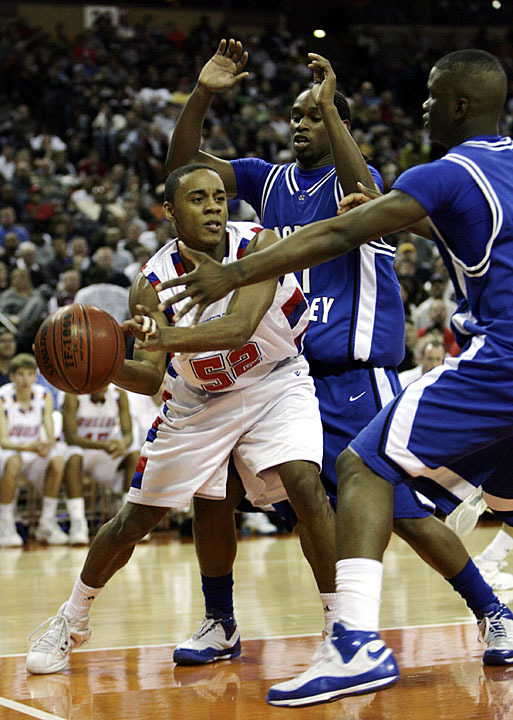 Dulles’ Dre Harrison passes around North Crowley March 8, 2008 at the Frank Erwin Center in Austin, TX for the Class 5A boys state championship. 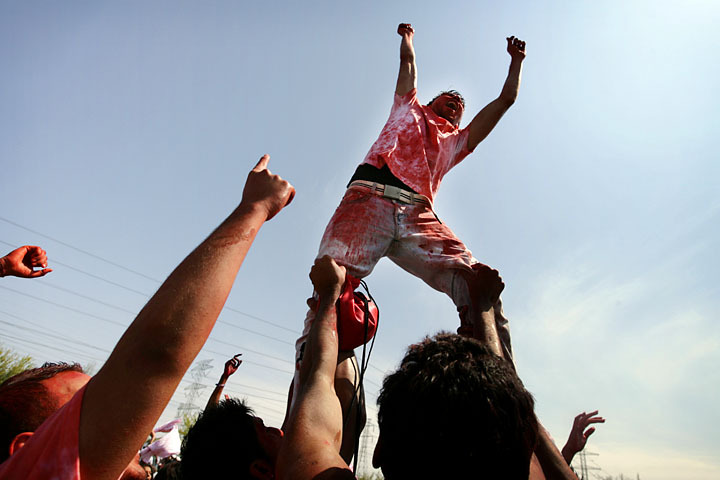 Dulles lost 74-67. 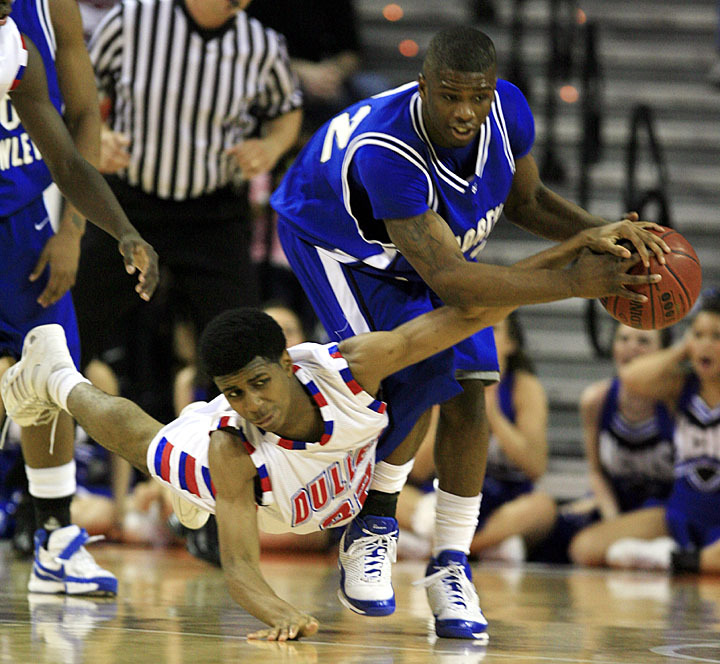 Dulles Shawn Umeh draws the foul against North Crowley’s Dontee Kinney during the 5A State Championship final. 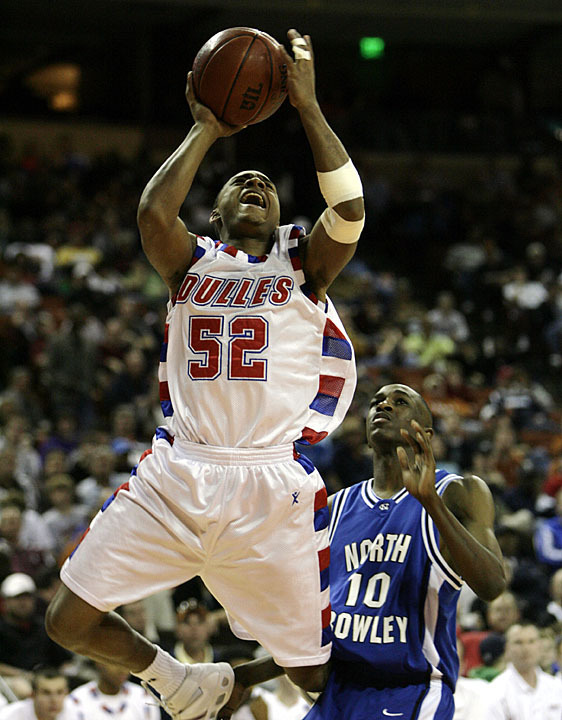 Dulles Dre Harrison shoots for two against North Crowley’s PJ Colley March 8, 2008 at the Frank Erwin Center in Austin, TX for the Class 5A boys state championship. Dulles lost 74-67. 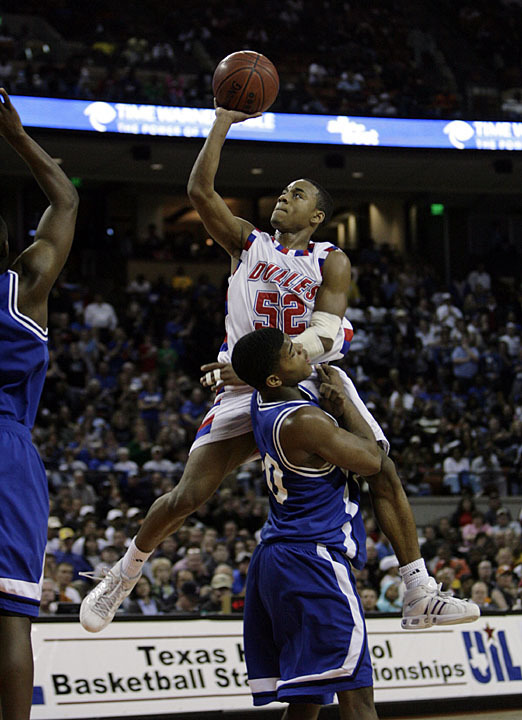 Dulles’ Dre Harrison drives over North Crowley’s Dontee Kinney March 8, 2008 at the Frank Erwin Center in Austin, TX for the Class 5A boys state championship. Dulles lost 74-67. 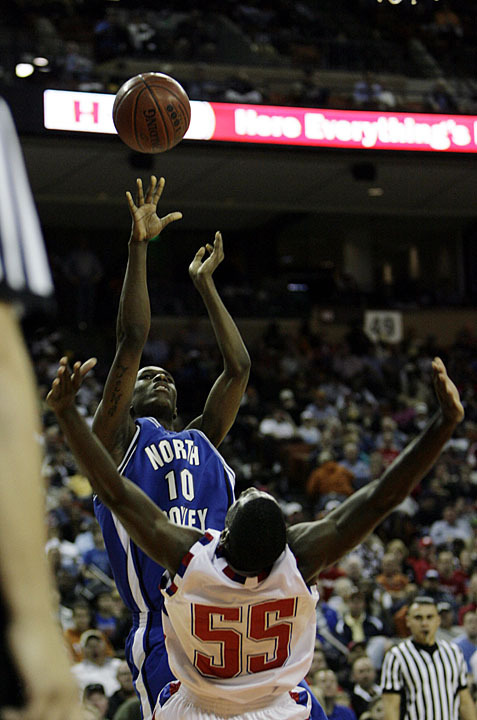 North Crowley’s PJ Colley fires one over the head of Dulles’ Adrian Kuyinu March 8, 2008 at the Frank Erwin Center in Austin, TX for the Class 5A boys state championship. Dulles lost 74-67. 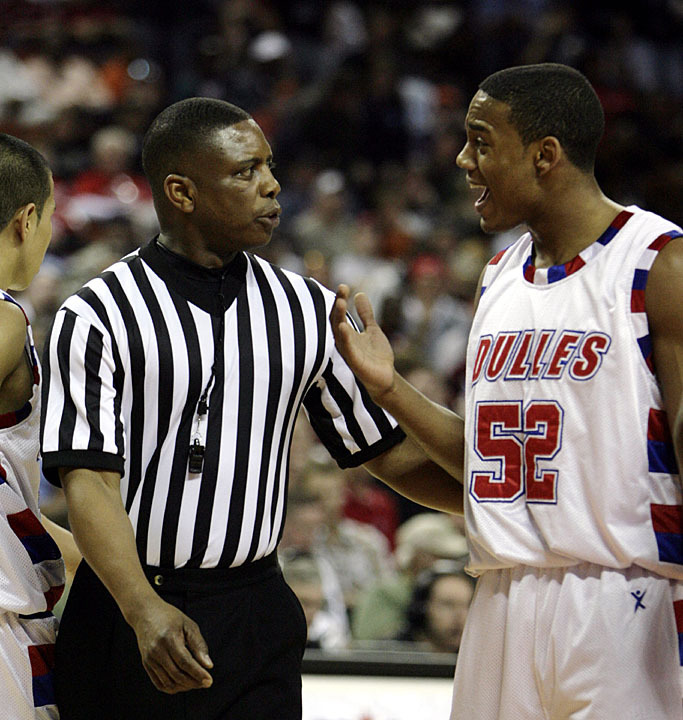 Dulles Dre Harrison argues a call with the referee as they play North Crowley March 8, 2008 at the Frank Erwin Center in Austin, TX for the Class 5A boys state championship. Dulles lost 74-67. 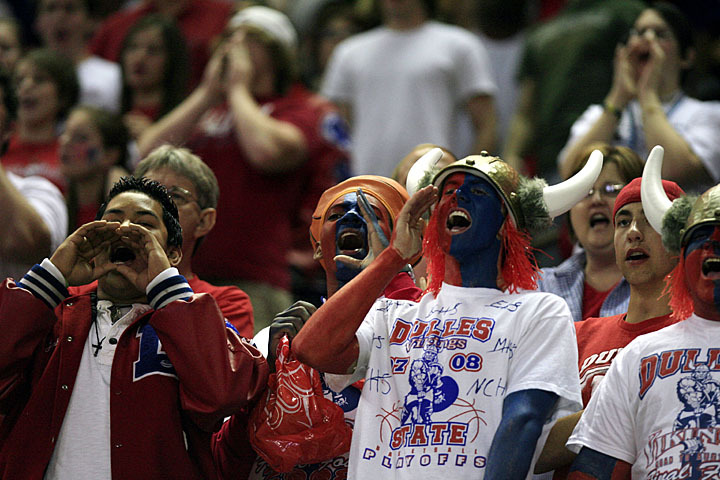 Dulles fans cheer on their team. 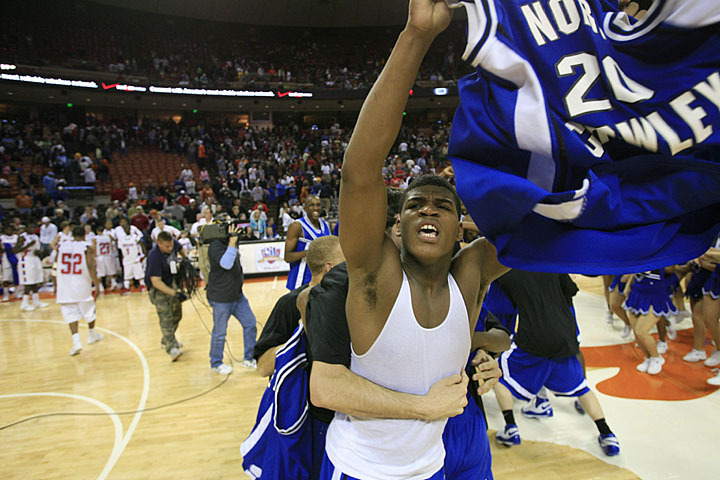 North Crowley’s Dontee Kinney celebrates their win against Dulles March 8, 2008 at the Frank Erwin Center in Austin, TX for the Class 5A boys state championship. Dulles lost 74-67. 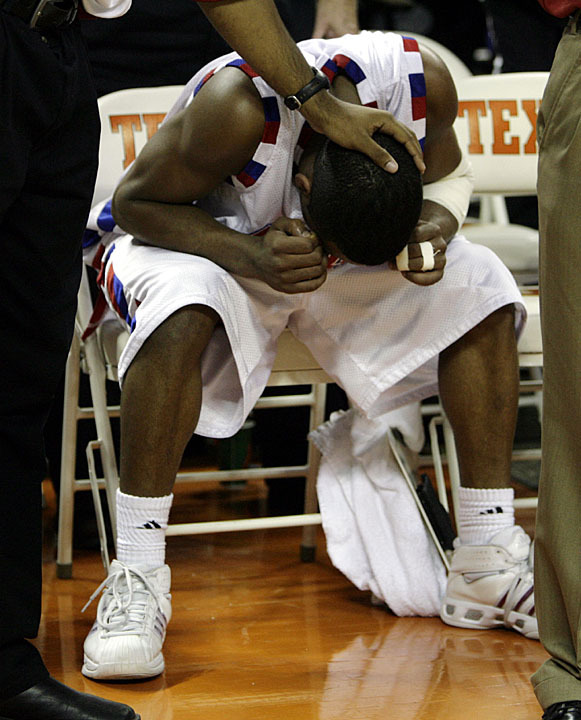 A Dulles coach comforts a player after their loss to North Crowley 74-67 March 8, 2008 at the Frank Erwin Center in Austin, TX for the Class 5A boys state championship. 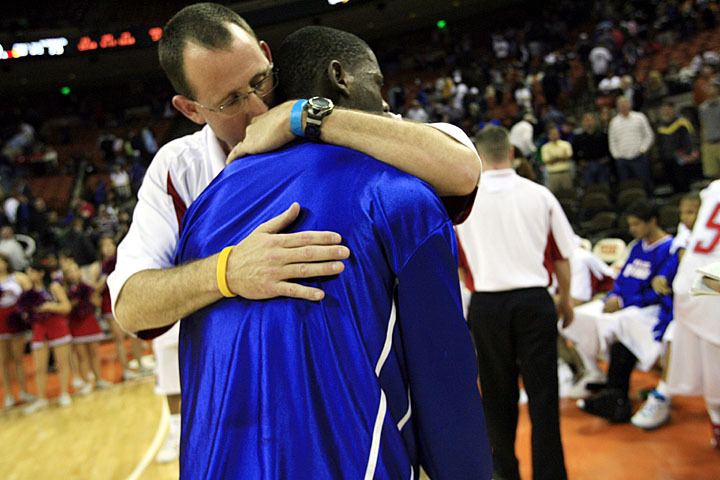 Dulles assistant coach Mark Rosenbalm comforts Adrian Kuyinu (55) after their 74-67 loss against North Crowley March 8, 2008 at the Frank Erwin Center in Austin, TX for the Class 5A boys state championship. 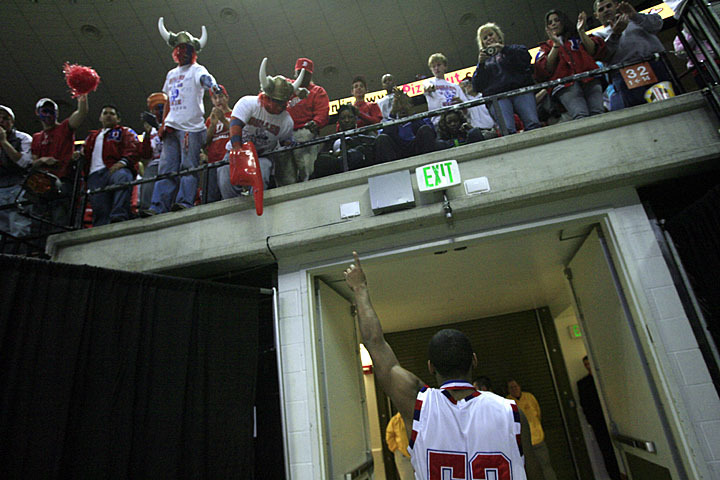 Dulles’ Dre Harrison acknowledges fans as he leaves the court after a 74-67 loss to North Crowley March 8, 2008 at the Frank Erwin Center in Austin, TX for the Class 5A boys state championship.